Join CK and The B Plan this week after a one week hiatus to run down all of the latest happenings in the world of horror films. In addition to that the duo go through some pop culture news like their thoughts on the new TMNT film, WWE's Royal Rumble and more! 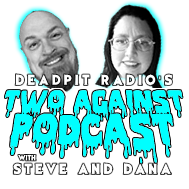 Rounding out the show this week is another DEADPIT retrospective... this time covering some of our favorite Winter themed horror films including movies like 'The Shining', 'The Good Son', 'Let The Right One In' , 'The Last Winter' and much more this week on the ORIGINAL Horror Talk Radio Show...DEADPIT Radio!! ! DEADPIT brings back some fan participation this week with the long awaited return of the call-in portion, with the big topic being Brad Fuller's recent comments on the future of the Friday the 13th series. Join CK and The B Plan as they go through the latest horror news and dvd releases! After your phonecalls the Steve talks about some of his favorite and least favorite horrors from this past year. 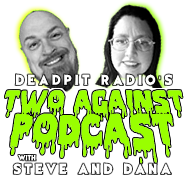 All of this and more on the reigning kings of horror talk radio...DEADPIT.com!! !